Searching for an engine for Avensis Verso Diesel? 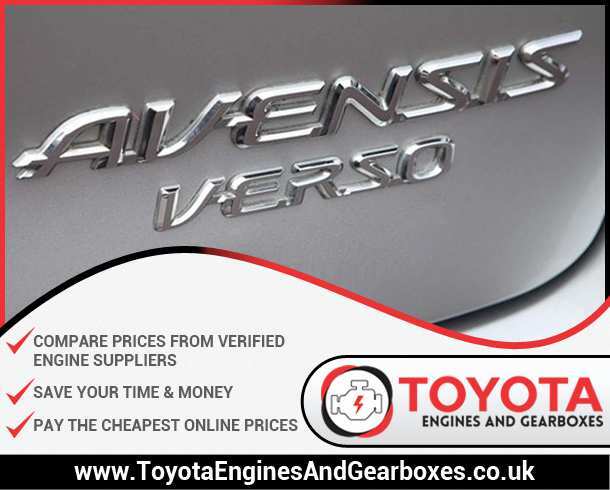 You are at the right page; we have gathered a database of all the trusted Toyota engine suppliers in the UK so that you can search stock and compare prices from the ones who have your required Avensis Verso Diesel engine in stock. This allows you to compare prices and make an informed decision. 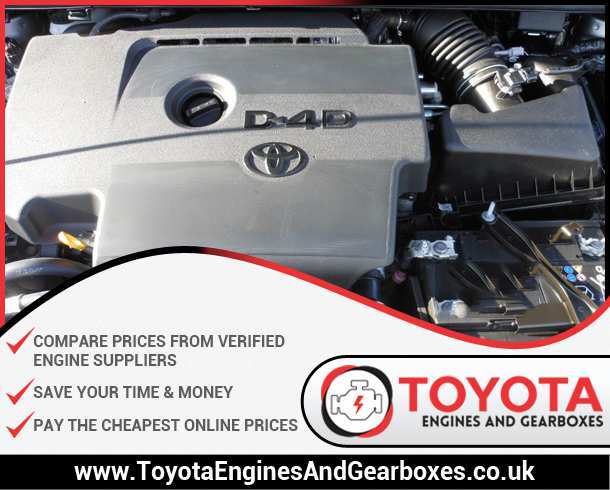 The main advantage of using our service is that you save a lot of precious time that you would’ve had to spend just in finding out which supplier or break yard has the right engine for your Avensis Verso Diesel in stock, the second advantage is that you are absolutely sure that you are getting a good deal from trusted suppliers.